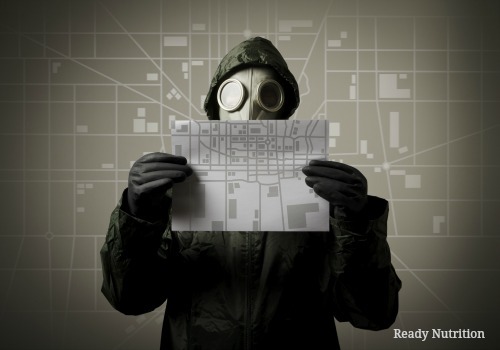 ReadyNutrition guys and gals, this article covers some things you can do to prepare when bugging out is the best option in a collapse/SHTF situation. Such a concept is quite the conundrum  and not what we wish to do. Truthfully, there comes a time when you have to stand and face whatever it is that is coming against you, with no other options. The actions you take will be dependent upon the situation you are facing, and no two families (although the threat may be the same) will face a challenge exactly identical in nature. These are guidelines that you can use to help you organize if flight is the only option. Such a flight is best accomplished by a good estimate of what you are going to take with you, and what will need to be sacrificed. Remember, a certain amount of what you may leave behind can be offset in terms of loss by what you cache  or safely store before faced with the choice of rapid departure. So how much can you transport? What percentage of your supplies are you prepared to cede in order to escape? Have you prioritized and organized what you are going to move out? Have you inventoried your items and protected them? Are you aware of the dangers you may be facing  when bugging out? Repeating that concept aforementioned that your best preparation  occurs before an event happens, you can cut down on the time, emotional distress, and overall misery by prepositioning a percentage of what you will take with you and storing it accordingly. Such can be referred to as a cross-loading plan, and it can make the losses you are about to sustain more easy to bear. This free prepping resource  can help you plan for short and long-term disasters and is also a best-selling prepper manual . 3. Planning is key. Planning is one of the 5 P’s of Preparedness . You will also need a plan of travel and a destination. Remember the military acronym “PACE,” standing for Primary, Alternate, Contingency, and Emergency. This applies to plans and routes. What if Main Street is blocked by fallen power lines? What if Elm Avenue is sitting under three feet of water? You need alternate routes with which to depart, and your family must know them. As well, you need a Plan B for bugging out if all highways and roads are blocked? Do you have bicycles, 4 wheelers or motorcycles or will you be leaving on foot?